I read her post about how hard of a time she is having with her classes, I pray for her, and then I burst into tears. I move from my desk chair into my recliner in my office and let sobs come, but I notice there are no more tears. Only a few had fallen. I really needed to have an ugly cry but the tears were locked in. So I sat there sobbing and gasping for breath wondering why the tears wouldn’t come. You see I reached my aggregate limit with Federal funding for school and so now I cannot finish my degree without private loans or scholarships. We can’t afford private loans, and scholarships are hard to get when you are an online student. So I was a Junior, about to become a Senior in college, working on my degree in Christian Care and Counseling when I suddenly got the news I may never have a degree in my hand. We just can’t afford classes and now the loans I took out are asking for payment. To say the least I am grieving the loss and asking God how I got here. So once I stopped wondering where the tears were I realized I was so very angry and I wasn’t allowing myself to show my emotions. I was hurt deeply and I wasn’t allowing myself to feel. So tears couldn’t fall because I had an emotional blockage I needed to deal with. And I heard a whisper…Cast all your cares upon him because he cares for you. So I ranted and I let go of all of that feeling out loud. I told God all about it. All that I could before my kids got home from school that is. And I felt some better. Like some of the load had been lifted and maybe I vented that blockage a bit. I kept asking God why this happened to me and I think I finally have an answer. He wanted me to make a YOU turn. He wanted me to turn to Him and take this time to heal. To let Him work on all of my emotional blockage and allow me to just be in this season of my life. As mad as I am that I cannot finish my degree I have to admit that the classes were affecting my health in a very bad way. You see I had so much stress in my life. So many things going on out of my control that I literally had developed head tremors from all the stress I was under while taking classes. My fibromyalgia was kicked up into high gear and I had terrible insomnia. Now that I’m not taking classes and some of the other stressors are gone the head tremors are gone and I am sleeping. So during this season I will focus on casting my cares, becoming more healthy inside and out, and making that YOU turn towards God. I just want to ask before I go if you have cast your cares lately? Or, is it time for you to make a YOU turn in your life? Beloved may God make His face to shine upon you. For more encouragement check out my friends below I am linking up with today. You will be more than blessed. If I could leave you with one word it would be cast, as in cast those cares. 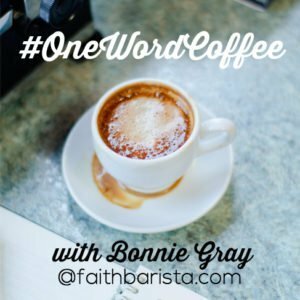 Hi, I am your neighbor over at TheFaithBarista today! Yes, I know what a YOUturn feels like, as I have been given that same direction lately. I began sharing about this season of my life with Rheumatoid Arthritis over on my blog, and then was diagnosed with Fibromyalgia also. Isn’t God’s Grace so amazing to bring us His Peace when we truly CAST our cares upon Him! Thank you for sharing your heart, and reminding me of the beauty of Casting! I will keep you in my fibro-praying-heart, Sister!! Blessings to you. Melinda, it’s wonderful that you have a willing heart. Willing to see His hand, even if you don’t know “why.” Willing to share and allow Him to work with and through you in your sharing. Willing to accept what He has for you at this point in time. When our hearts are willing, His work is amazing. I have been there many times.